It’s no secret that later in life we often have to deal with many different health conditions. Everything from heart disease, to arthritis, to diabetes can crop up and become part of our daily lives. Seniors who find themselves diagnosed with multiple health problems are often prescribed different meds to deal with each disease. This can be a lot to keep track of and can involve daily doses of meds. So maybe it comes as no surprise that a new study has found that both men and women with high blood pressure and diabetes are opting out of taking medication after retirement. According to a recent report published in the Canadian Medical Association Journal, women with hypertension were 1.3 times less likely to take their meds after retirement, while men with diabetes were 2.4 times less likely. Both high blood pressure and diabetes can be improved by living a healthy lifestyle. However, for many, the first line of defense still remains drugs targeted to keep either of these conditions from progressing further. To look for the reasons why seniors aren’t taking their meds, the researchers conducted a study. Data was collected from 21,052 retired government employees in Finland. The researchers followed the participants for three years before retirement, right through to four years after retirement. 3,468 people had hypertension before retirement, while 412 were diagnosed with diabetes. The average age of the retirees was 65 years. After analyzing their data, the researchers found no significant differences in taking or not taking medication when it came to age, socioeconomic status, or depression. What, then, accounted for the drop in medication use? The researchers suggest that many people believe that their health will improve once they retire. Job stress will be gone and it will no longer be necessary to follow a strict time table each day. Unfortunately, hypertension and diabetes don’t miraculously disappear at the moment of retirement. Other reasons for non-adherence to meds include loss of a familiar daily routine. Retirees are often faced with a complete rearrangement of their schedule. They have the freedom to move through their daily lives without the restrictions of having to be at work eight hours a day. Along with this freedom comes an inability to structure in set times to take medication. Another factor in non-adherence is shifting from workplace healthcare coverage to non-workplace coverage. Some retirees are deciding it’s just too expensive to take a daily drug cocktail. The researchers feel that this issue is significant and that it’s not going to go away. They would like to implement programs that would increase medication compliance amongst retirees. This brings up one other area of concern for retirees: planning for health care retirement. Health care costs can extend well into the golden years and need to be budgeted in the same way that food and shelter needs are budgeted. If you’re a senior, don’t forget to get some help with financial planning. By trying to save more and taking out long term care insurance, you could help to protect yourself should you find that your health begins failing. 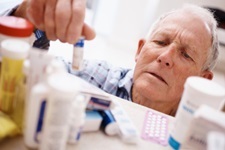 “Retired people less likely to take medications for hypertension and diabetes,” Medical News Today website, Sept. 30, 2013; http://www.medicalnewstoday.com/articles/266680.php, last accessed Oct. 1, 2013. Davidson, S., Seniors not factoring failing health into retirement plans,” CBC News web site, Jan. 4, 2013; http://www.cbc.ca/news/business/taxes/seniors-not-factoring-failing-health-into-retirement-plans-1.1168939, last accessed Oct. 2, 2013.